So sorry for missing last week. The weekend brought with it a start-of-the-season cold… not fun, but made a little easier (and a lot shorter!) by a cup of hearty chicken noodle soup, complete with fresh herbs and homemade bone broth. 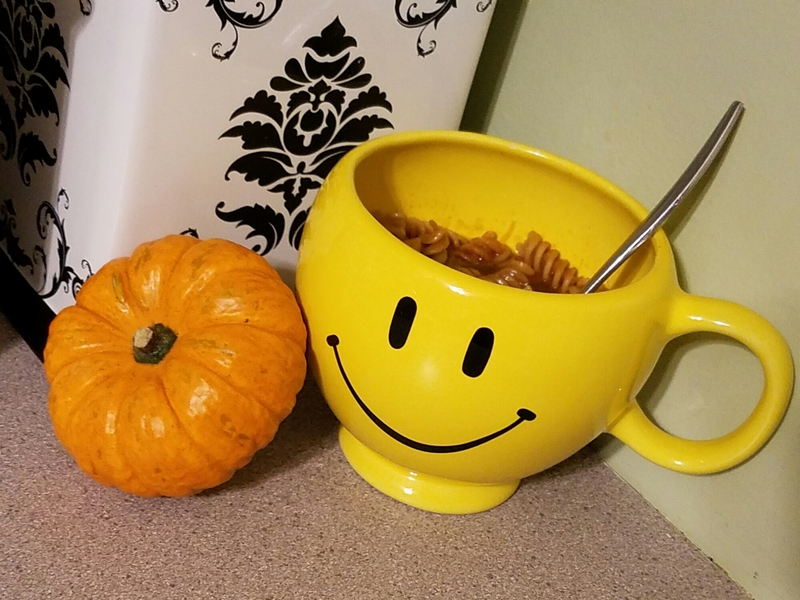 They weren’t kidding when they said that bone broth is very healing… it usually takes me weeks to kick a simple cold, but this time I was over it in just a few days. And getting over my cold allowed my to finish another fall decor project that I want to share with you. 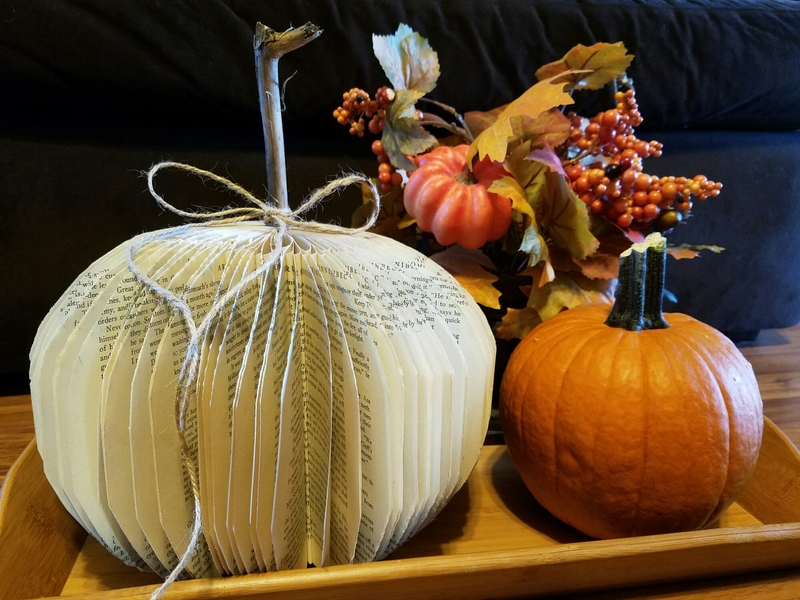 This book pumpkin is a super cheap and simple upcycle project that doesn’t take much time, but adds a lot of interest. First things first… find an old book. Maybe you have one laying around that has never been read or hasn’t been read in years. Or you can do like I did and hit your local Goodwill. I think I got this beauty for a whopping 50 cents! Next remove the cover (I’m looking for a good use for that still…surely there is something, right!). 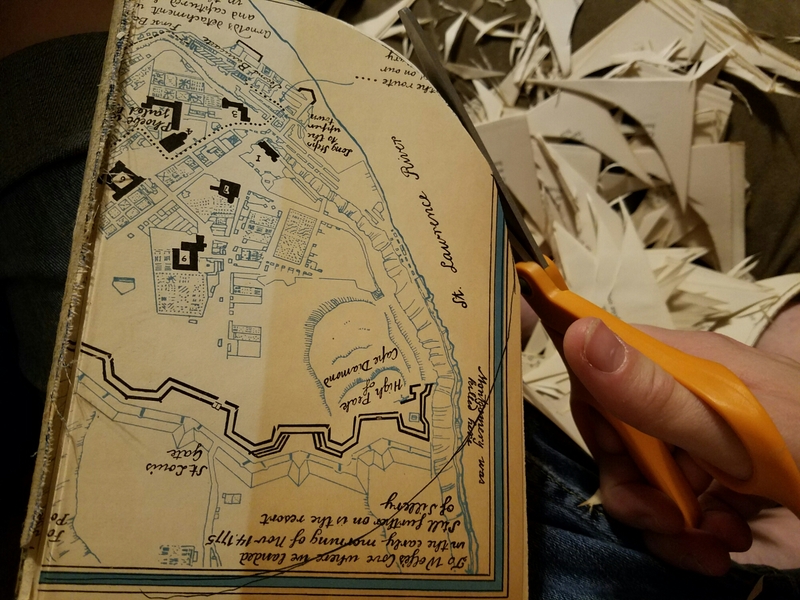 Then slowly, a few pages at a time, cut it in a half pumpkin shape. I used a bowl to draw a guide on a scrap page,then used that as a stencil of sorts to get me started. If it’s not perfect, that’s okay. You can adjust some later. Really though, you probably won’t notice small imperfections. 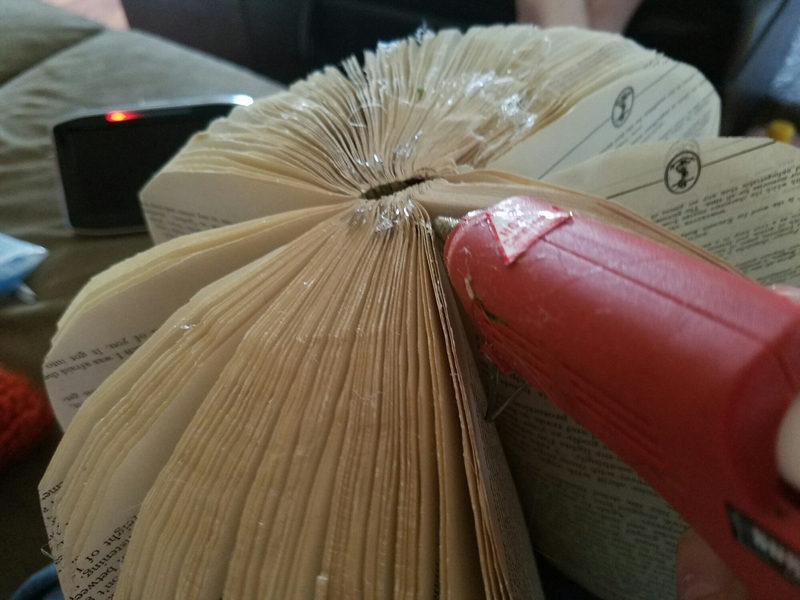 I used scissors for this step, but I did think about trying an X-acto knife. Might be easier, might not. If you try it this way, let me know how it goes. 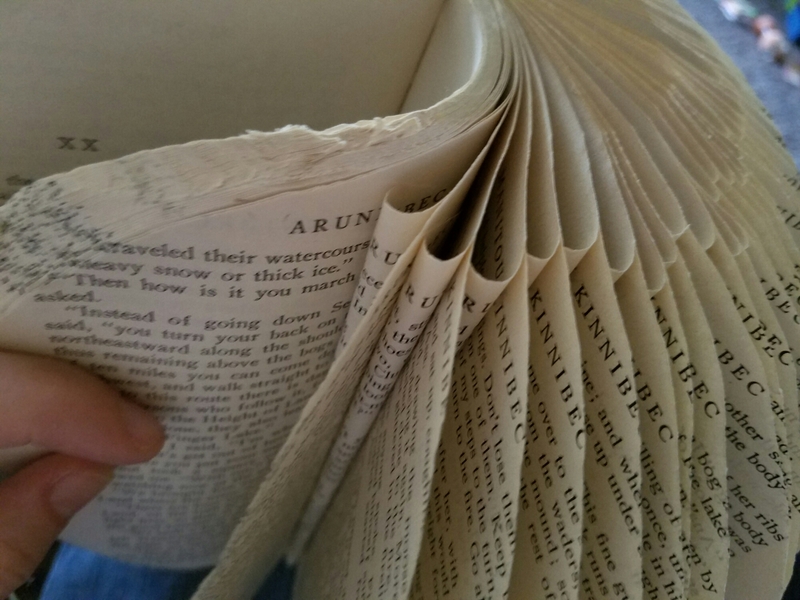 Next, I folded back the spine into a sort-of-circle and glued it together. 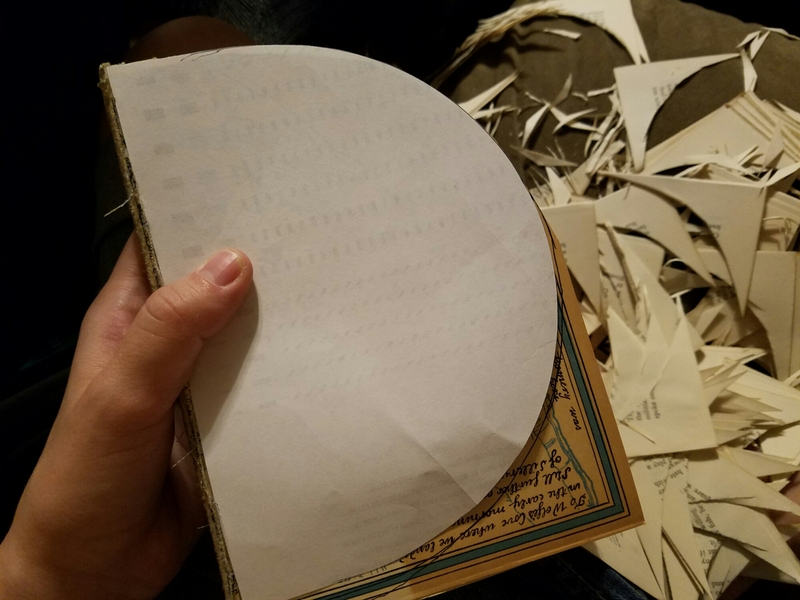 Then (this is the most time-consuming part) I went through, page by page, and put a dot of glue to separate the pages and make them flare out. It’s tedious, but worth it. 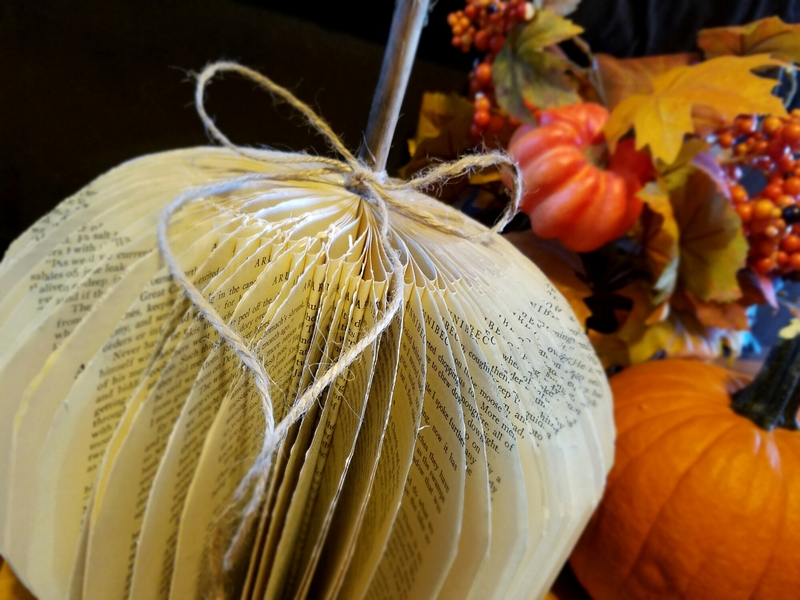 Many book pumpkin tutorials I’ve seen leave it like this, but I didn’t quite like how my pages turned out. They were sticking together and clumpy looking. So I went back and rolled every other page back into the spine. This gave it more body and shape. I really like how it turned out. Lastly, I finished it off with a stick stem that I shoved into the spine and glued then tied some twine around to give it a completely look. And that’s it! 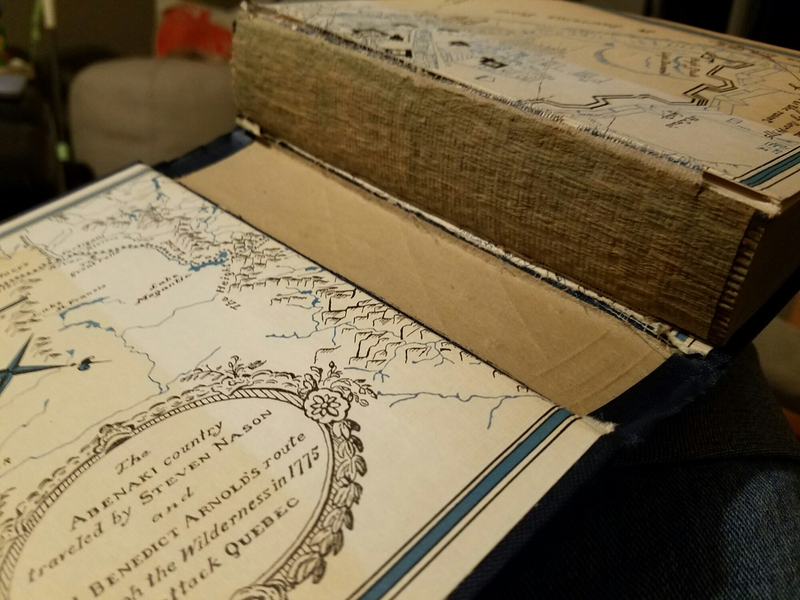 I’ve seen some that were spray painted orange, but I likes the natural aging on the pages so I left it. My version of a Casper paper pumpkin I guess. ☺ I’ve also seen them with Spanish moss or raffeta instead of twine. I even contemplated using glue on the twine and twisting it around a pencil to give it a twisted vine look. There are tons of possibilities! The whole thing probably took less than 2 hours to complete. Super easy! Next week, be on the lookout for that handyman husband post I’ve been promising! It turned out really awesome! Can’t wait to share.